I live in Highbury in North London, really very close to Arsenal’s massive Emirates Stadium, I am not, however, much of a football fan. Fortunately, if I walk just three minutes in the exact opposite direction, I come to Clissold Park in Stoke Newington. During my recovery from back surgery seven years ago, I used this short walk to chart my improvements, eventually, not only able to walk to the park, but to do many laps of it. We became firm friends and I promised to continue my visits, not just in good weather but throughout the winter. I’d not yet begun focusing my foraging attentions on the city, mostly preoccupied with the coast and the woods come the Autumn, but the following Spring two important things happened. One, it became Spring time (unsurprisingly) and two, I took a stroll around my lovely local park. KABOOM! EPIPHANY TIME! My vision took a lateral shift, my city goggles switched off, and on came my wild food vision. I was surrounded, literally besieged by edible wild, and not so wild plants and trees and since then I have continued to be amazed at the things I discover, all so wonderfully close to my doorstep. I can honestly say, I have learnt more about nature, foraging, botany, nutrition and numerous other topics, from this one square mile of city greenery, than I have from the rest of the entire country. And why? Proximity and gentle repetition, that’s why; I find it slightly corny to call foraging an art but it does take a very specific skill set, best learnt over a long period of time. In my last blog, I boastfully claim to be able to teach you 50 wild edible plants in just 10 minutes, but this knowledge is the culmination of, amongst numerous other things, many repeated visits to the same places, passing and observing the same plants in all their different stages of growth, the changes of the seasons and how this effects what is, and what isn’t, available. I’d imagined this process only really possible in the country side, with repeated strolls through the same country lanes and fields, gentle observation and nature giving up its secrets with different parts of the puzzle becoming visible as the year progresses. What has now become crystal clear, is that not only can we do this with our local urban green spaces, we can use this process to bring something of the countryside into the city and with it the calm and clarity of learning at a slow, carefully observational pace, maybe not quite a meditation but certainly a shift in focus, away from some of our usual city based activities and the hectic speed at which we expect information to be available to us. This is simply not the way with foraging. Deep breath in, exhale….ahhhh. I’ve previously referred to this process of ” learning plants backwards”, becoming familiar with them when all their most obvious ID features are on show, flowers, leaves, seeds etc, and then returning to them numerous times to become comfortable with them in all their different stages of growth, allowing us to harvest, or at least sample them, when they are at their best (often when only a few, hard to ID leaves, are on show). A friend told me that knowing a plant is like recognising a familiar face, once you know the person they can change their clothes or their hair but you’ll still instantly know them when you see them and this opportunity to meet and “remeet” so many of our great edible and medicinal plants, is something that this brilliant local spot has given me. 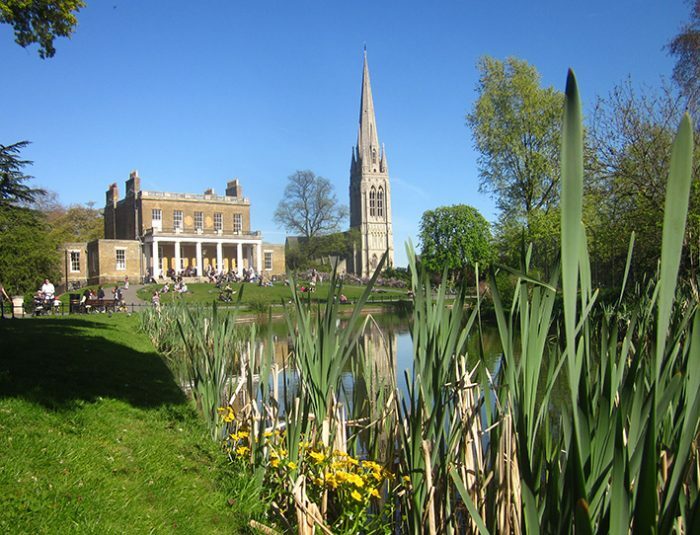 So, is Clissold Park a particularly outstanding urban green space? Well, yes and no. 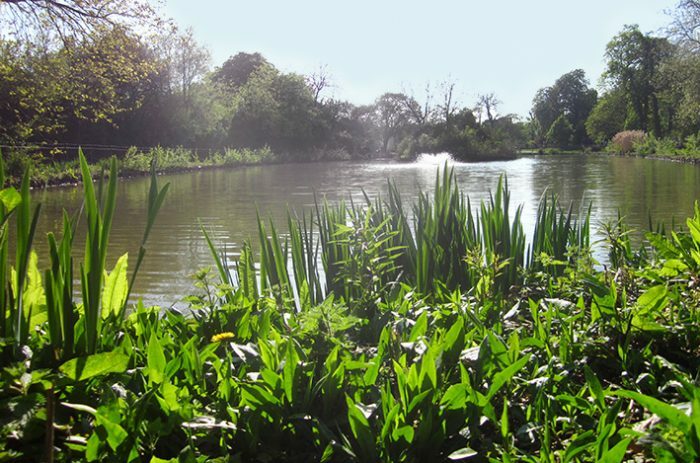 It has all the things I look for in a park, a mix of well kept, clean green spaces, mixed with some intentionally “wild” areas and a few less intentional ones, interesting tree planting and a decent sized lake, pond or waterway (the border of which is not over managed). In terms of foraging, or to be more specific, learning about foraging, for that’s how I use the park, not as a source of sustainable free food, it ticks all the boxes. 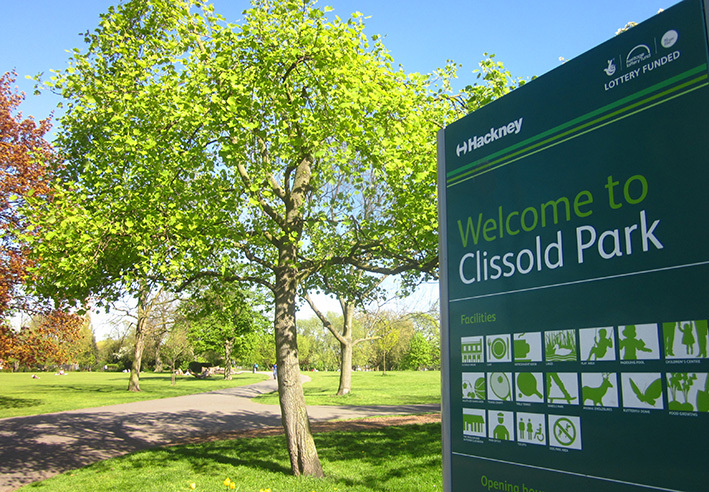 For me, Clissold Park is outstanding, not only for my purposes but in the many other ways it provides for and serves the local and wider community, proximity being king when it comes to ones local park, favourite local pub, shop etc etc and living just three minutes away has allowed me my constant return trips and continuing education. But, and I mean no disrespect to an old friend, it’s no different to many of our wonderful city parks, lovingly looked after and brilliant managed by so many people…and for me, and people like me, offering a myriad of wild food delights to sample and study. “Grazing”, that’s the loose title I have given to what I do in the city; sampling numerous plants, herbs, wild foods, but mostly in very small amounts, experiencing new flavours and learning how these change with the seasons rather than trying to gather armfuls of a certain plant when it’s at its best or most obvious. Parks and pretty much all of our urban green spaces are NOT common land, but privately owned and managed areas that we are allow access to, and, leaving the politics of land ownership aside for now, if we want to forage in these areas, we must respect this, just as we do with numerous other rules or guide lines that allow us to co exist in such close proximity to so many other people. Obviously, it’s up to the individual, but this is my take on how to treat these places, not to ever take for granted the effort that goes into making them as wonderful as they are. There are also numerous environmental concerns when urban foraging, pollution, soil quality, historical pollution, proximity (to roads, industry etc), Toxocara Canis (a dangerous worm found in dog poo). For more information, I suggest looking at my post entitled Sensible Foraging https://www.foragelondon.co.uk/sensible-foraging but more than that I would advise anyone with concerns about these issues to do their own research, contact their local council, explore the history of a potential site and also to be mindful of not over using any urban wild food especially from the same spot. It’s also worth mentioning that low growing herbaceous plants have shallow and wide spreading root systems which can help them absorb toxicity; it’s not that tree fruit will necessarily be pollution free but trees do have the wonderful ability to lay down a lot of the toxins they absorb into their bark, leaving the fruit, not exactly filtered, but far more so than say, blackberries or wild strawberries might be in an urban situation. My general standpoint is that living in cities, London in particular, is a slightly toxic experience in itself; the pollution, noise, drink and drugs culture and general default state of mild aggression adopted by many people…If we have signed on for, and are happy to deal with all of these, I’m not convinced that nibbling a few leaves from your local park will put you at risk….but like I say, if you’re concerned, do your own research. The Edible Plants of Clissold Park. Yew: All parts toxic except for the berry flesh, which contains a poisonous seed! Fungi: Various toxic varieties most obviously The Yellow Stainer, a lookalike for the edible Field Mushroom. Numerous other edible mushrooms can be found in the park but I strongly recommend against eating any city fungi due to the high levels of toxicity absorbed. The four types mentioned in the edible list all grow on trees, giving them a far better chance of reduced toxicity compared to terrestrial (ground growing) species, but even so, I’d only eat them very occasionally and only then, if they were well away from the road or any other obvious source of pollution. Also found in many urban areas, but not in Clissold Park as far as I know. Bird’s Foot Trefoil – being pea family I guess it is like a vetch? Michaelmas Daisy – Aster family, use like sea aster? Cinquefoil – Potentilla species as is silverweed but I have only seen medicinal references to other Potentilla species, do you eat the greens or the roots? Hedge Bedstraw – like an unsticky Sticky Willy I guess? Hornbeam – Hazel family but what do you eat? Hi Lee, a good list of questions..
As a chef love wild foraged food & also do demos with them great website! Next post: 6 amazing short films about food, foraging and the future. Previous post: Foraging is Easy. Learn 50 plants in just 10 minutes!